As early as 1962, Archbishop Lefebvre, at the time Superior General of the Holy Ghost Fathers, was receiving anguished pleas for help from seminarians who had been dismissed. Indeed, the degradation of priestly formation was apparent almost everywhere. 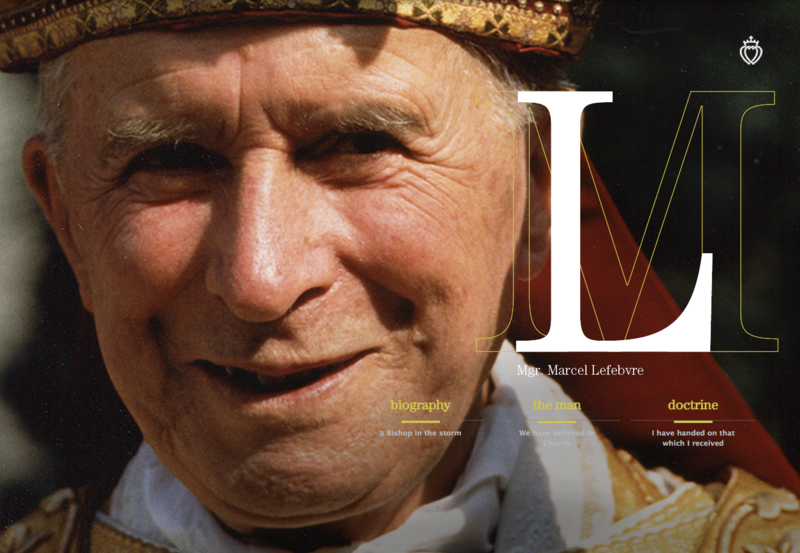 Archbishop Lefebvre began by directing them to seminaries and universities he considered to be more “traditional”. Unfortunately, the conciliar revolution seemed about to sweep everything away: the custom of wearing the cassock was being abolished everywhere, pious exercises, prayer, the rosary, devotion to the Blessed Virgin and to the saints were being abandoned. New methods wreaked havoc with instruction in the Faith; the perennial philosophy and the constant Magisterium of the Church, even the Divine Liturgy yielded to a variety of none-too-sacred experiments. Confronted with the failure of half-measures—such as the French Seminary in Rome or the Pontifical Lateran University—and finding himself free from all official duties, Archbishop Lefebvre, as though prompted by Providence, decided to open a house himself in Fribourg, Switzerland, to receive the seminarians who continued to ask for his help. These latter were taking classes at the Catholic University. 1969-1970: It was a crucial year for the Church, on which a New Mass was imposed. In Fribourg, the beginnings were difficult: e.g., illness for Archbishop Lefebvre and the departure of several seminarians. At the same time, a group of Catholics from the Swiss canton of Valais had bought the house and property of Econe, put up for sale by the Canons of St. Bernard, hoping to be able to preserve the religious character of this property. They soon donated it to Archbishop Lefebvre, who decided to use it to open a preparatory year for seminarians. In the fall of 1970, 11 first-year seminarians entered Econe, while the others were returning to Fribourg to carry on their formation. On November 7, Archbishop Lefebvre could announce to his seminarians that Bishop Charriere officially erected the Society of St. Pius X in the diocese of Fribourg. The decree had been signed on November 1, 1970. In June 1971, Archbishop Lefebvre blessed the cornerstone of the St. Pius X building in Econe, destined to accommodate the seminarians, already too numerous for the existing buildings. In the year 1972-73, the SSPX carried on its apostolate only in Great Britain and in California, and was in charge of the chaplaincy of a small girls’ school in France. In 1973, a new house was opened in Armada, Michigan as the North American seminary. Then in 1974, a former novitiate of the Sacred Heart Fathers was purchased in Albano Laziale, at the gates of Rome.